This week I bought a pluot which I learned is a hybrid between a plum and an apricot! 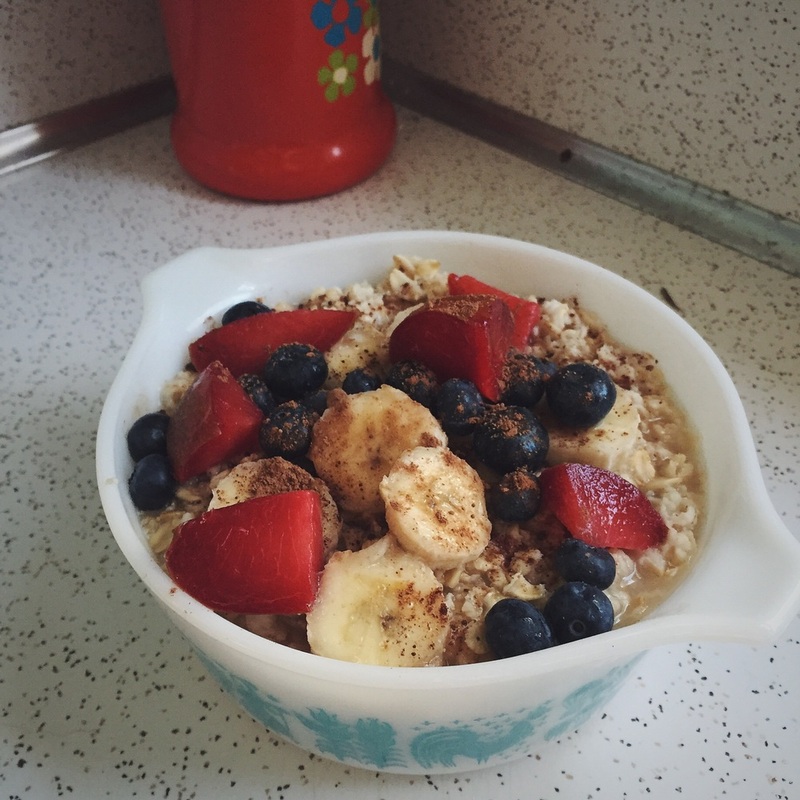 I'm using it along with blueberries, a banana, and cacao powder to top my oatmeal. Fuel for day #2 of unpacking!